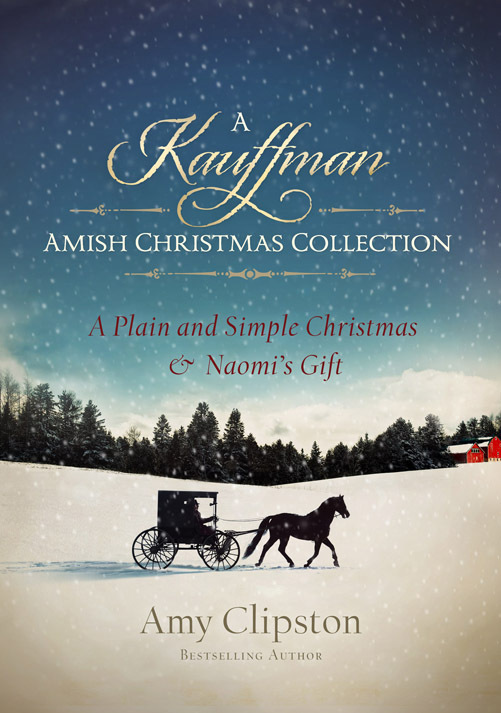 From Amy Clipston, the author of the Kauffman Amish Bakery Series, comes two books in one: A Plain and Simple Christmas—in which shunned Anna Mae doesn't receive the welcome she expects when she pays a visit for Christmas; and Naomi's Gift—re-introducing twenty-four-year-old Naomi King, who has been burned twice by love and has all but given up on marriage and children. The idea for A Plain & Simple Christmas came to life during a visit to Lancaster County, Pennsylvania. Sue Brower, my editor at Zondervan, and I were sitting in her room at the Creekside Inn, located in Paradise, and we were talking about my upcoming book projects and deadlines. Sue suggested that I write a story about a shunned Amish woman who wants to come back to Lancaster to visit her family for Christmas. The story grew from there, and I’m very thankful to Sue for suggesting the concept. A Kauffman Amish Christmas Collection was a Christian Book Distributors Bestseller!